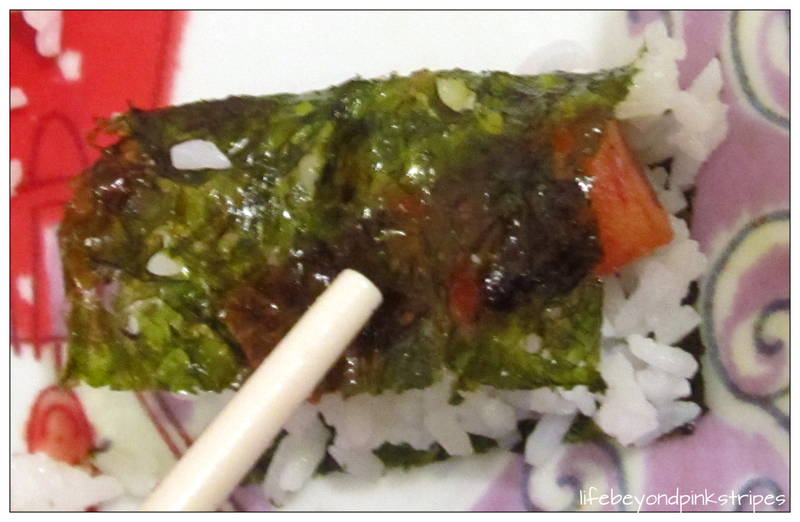 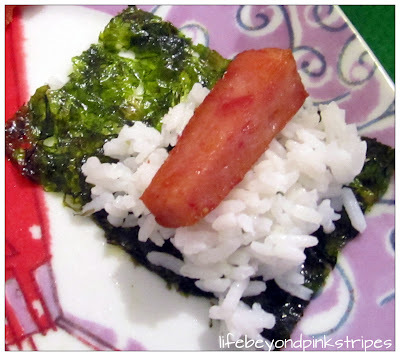 Put some rice and a piece of meatloaf on one side of the seaweed sheet. Fold the seaweed sheet in half, covering the rest of the ingredients. 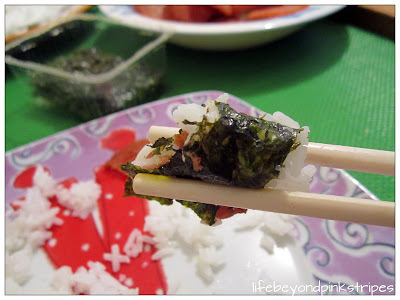 Carefully pick the entire thing with chopsticks.